NFU Cymru, together with other agricultural organisations, is highlighting the need to stay safe on farm after new figures from the Health and Safety Executive (HSE) show that farming’s safety record still needs improvement. 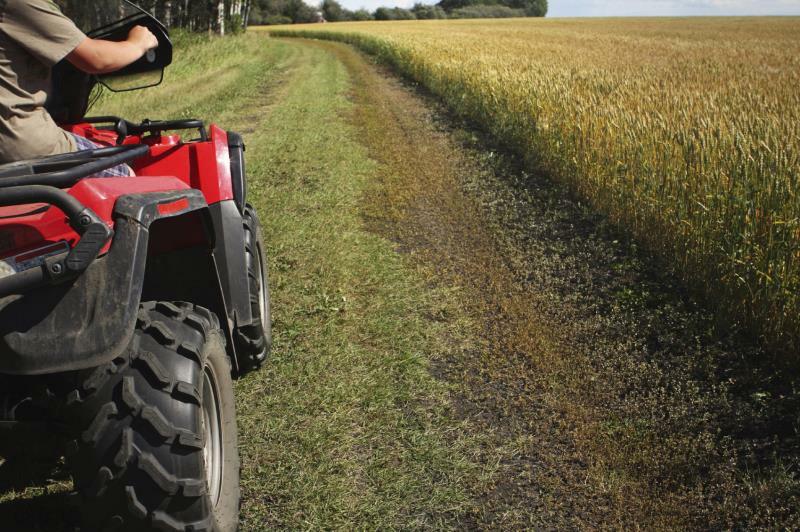 HSE figures show that 33 people were killed in agriculture in 2017/2018 of which 29 were farm worker fatalities. NFU Cymru President, John Davies, is urging every farmer to make time for farm safety to help get this number down to zero. John Davies said: “Throughout Farm Safety Week [16 – 20 July] and the Royal Welsh Show [23 – 26 July], NFU Cymru will be highlighting the need to stay safe on farm by taking the proper precautions and thinking about safety first. “We are a proud partner of the Wales Farm Safety Partnership and will be using the over-arching campaign to help hit home the message that farming safely is your health, your safety, your choice! Trying to avoid working alone with cattle. A hard-hitting message and mirror display, on the NFU Cymru stand at the Royal Welsh Show, will ask farmers to ‘look yourself in the face’ and be honest about whether they’re actually doing all they should to preserve life and limb. Visitors will also be encouraged to pick up a free copy of WFSP’s ‘Top tips to make your farm a safer place to work’. Published by Farming Connect, the cover of this handy pocket-sized booklet shows a powerful image of Abergavenny farmer Robin Foord, who ten years ago lost his leg in a horrendous combine harvester accident and who is lending his support to the new campaign.